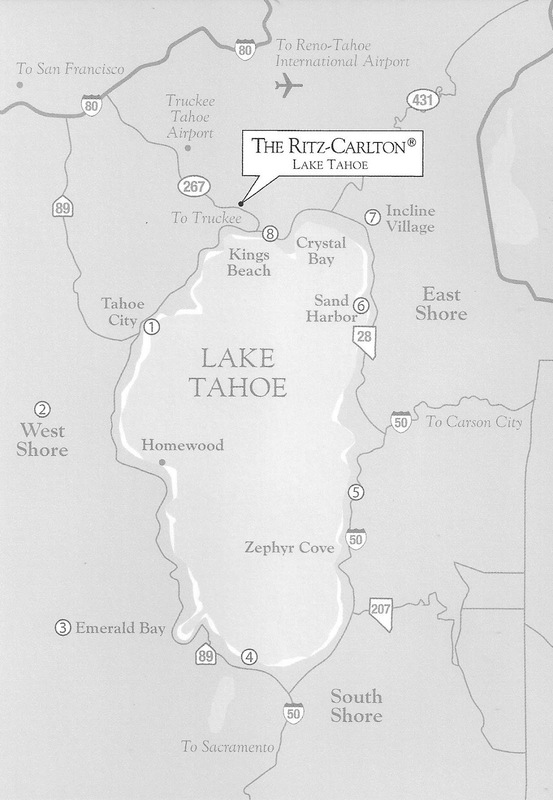 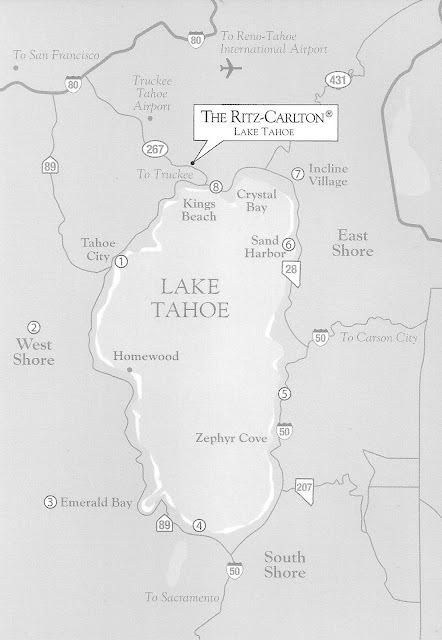 The Ritz Carlton Lake Tahoe, located mid-mountain at Northstar California Resort near Truckee, is the only luxury resort featuring a AAA Five Diamond rating and stands at the top among luxury hotels in Lake Tahoe. 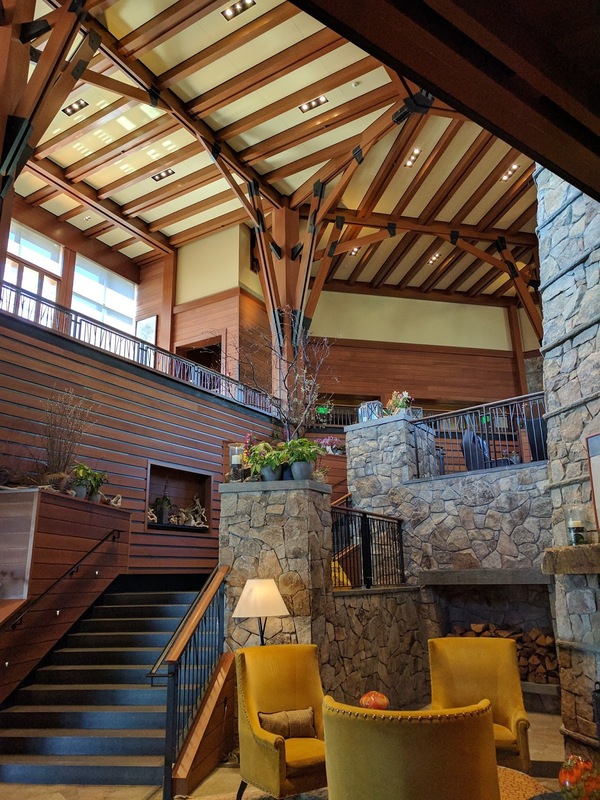 It is the perfect luxury getaway offering year-round activities in both winter and summer. 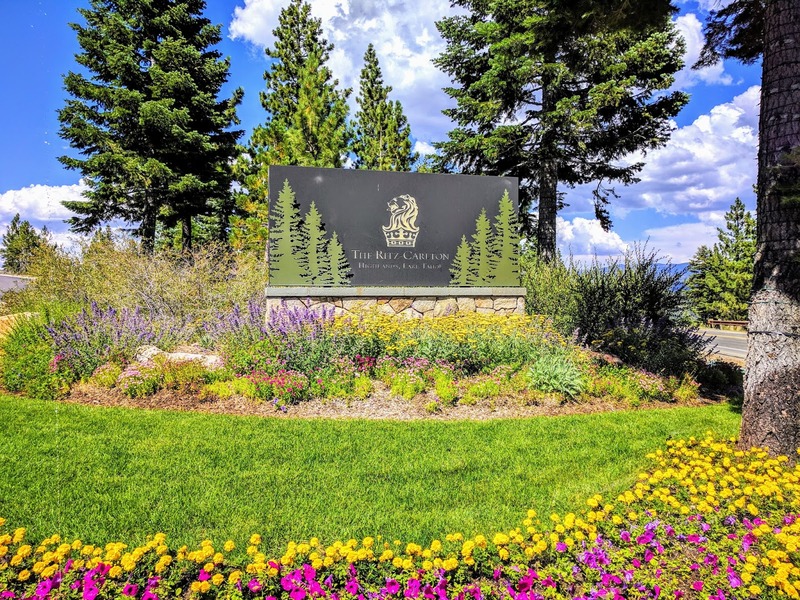 The Ritz Carlton Lake Tahoe features elegant mountain decor throughout and is a destination in and of itself offering the very best in service, dining, amenities and activities, including hiking in Summer and ski access in Winter. The hotel is also only a quick gondola ride down to Northstar and you have access to more great dining, shops and activities. 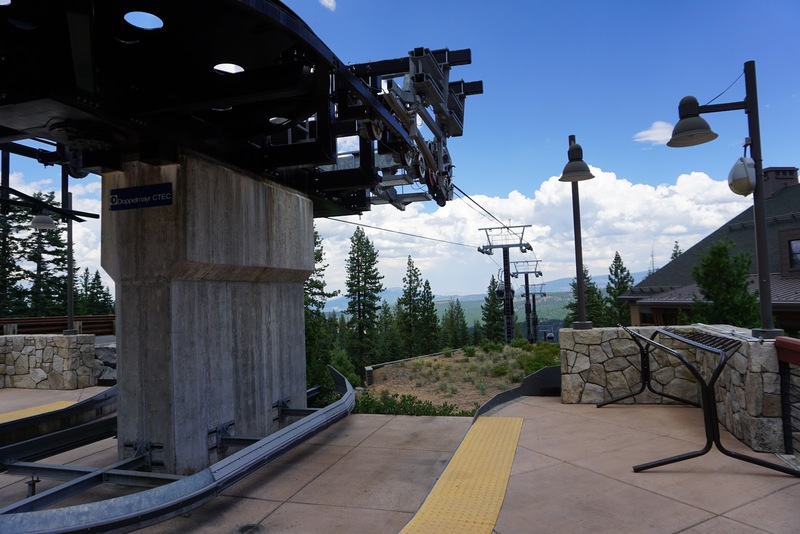 Note that during the off-season, it may only run on weekends. 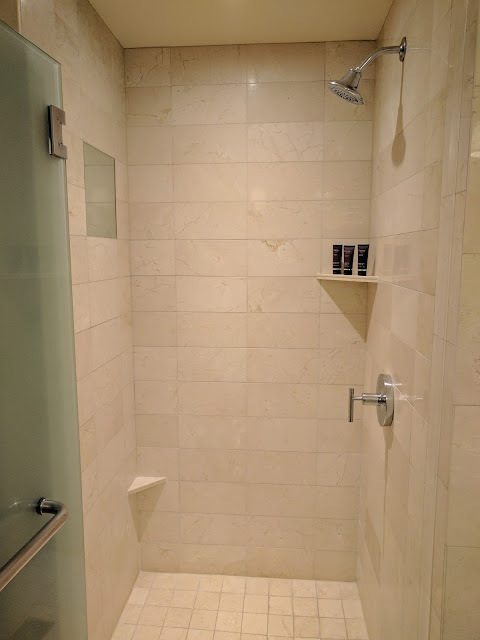 The hotel is comprised of 153 guestrooms, 16 suites and residential suites offering 400 square feet of space up to 1600-2600 square feet with its residential suites on the 6th floor. 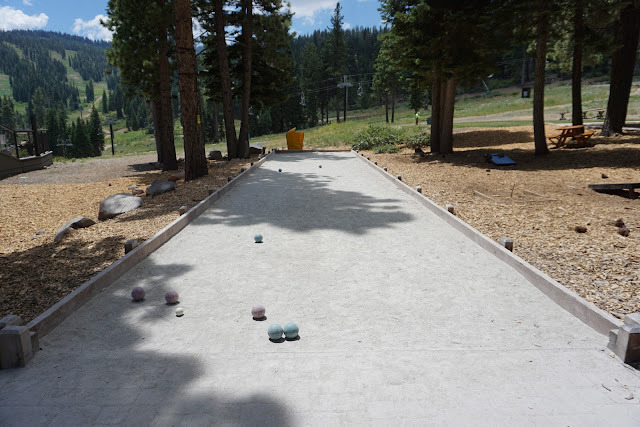 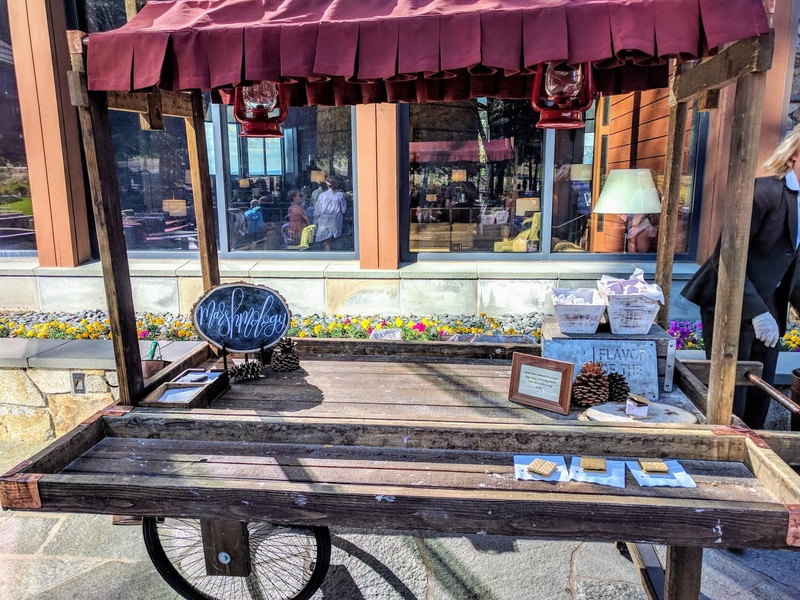 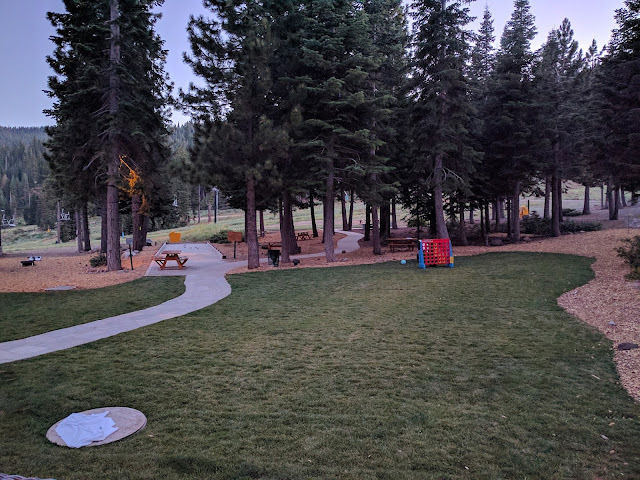 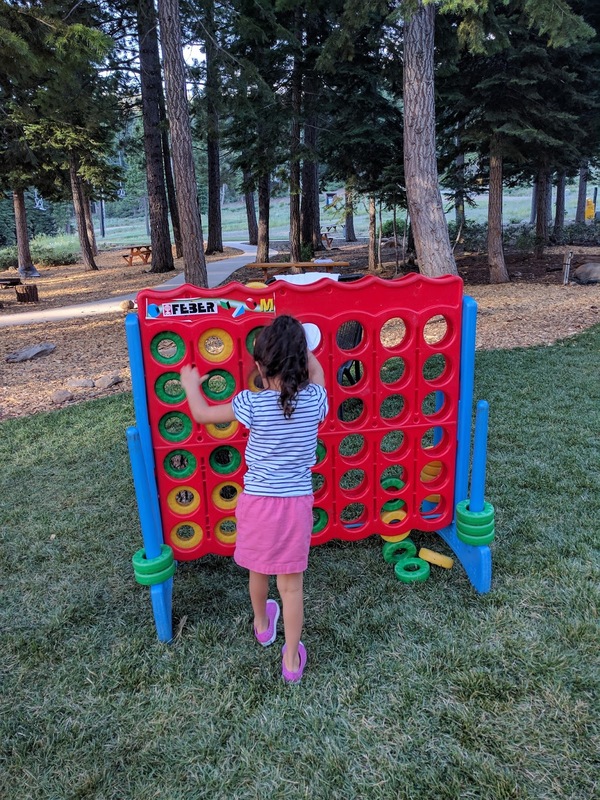 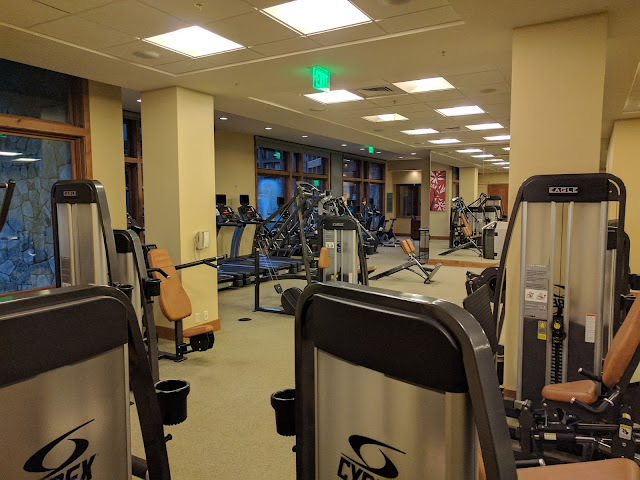 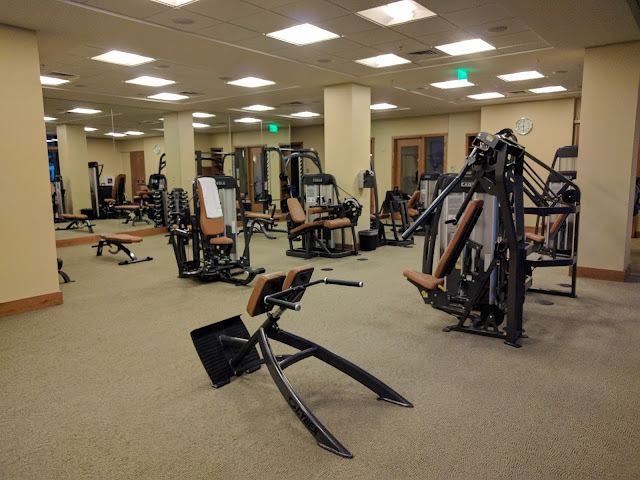 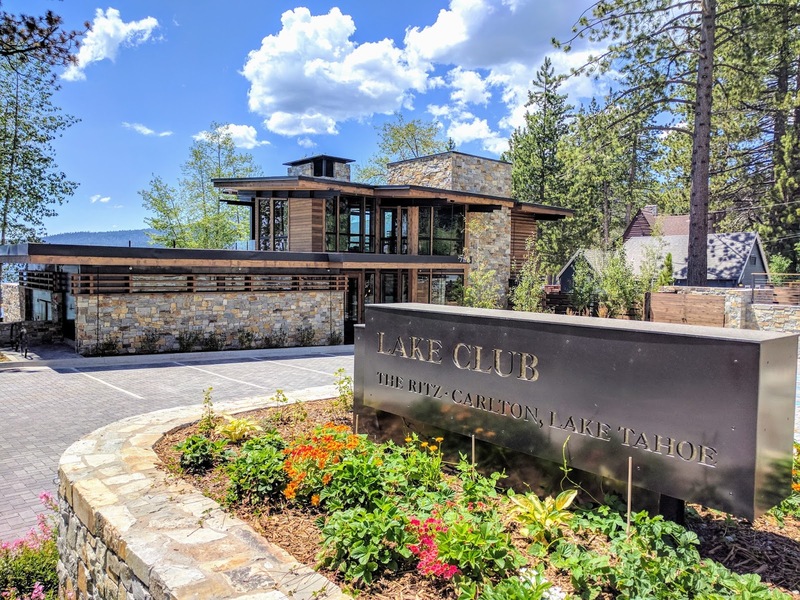 The amenities of the Ritz Carlton Lake Tahoe include a backyard patio area (with firepits and games), pools, an arcade, spa and fitness center, club lounge, a newly opened Lake Club on Lake Tahoe, and much more. 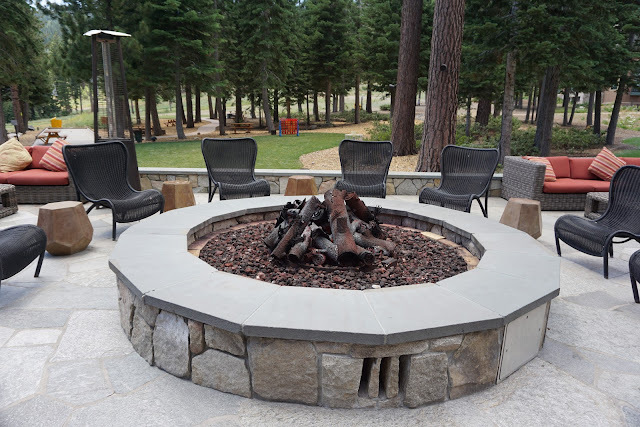 Evening s’mores experience at the fire pit hosted by The Ritz-Carlton, Lake Tahoe "Marshmologist"
The main pool area features a heated pool with seating, jacuzzi's and a small kids pool with kids lounge chairs. 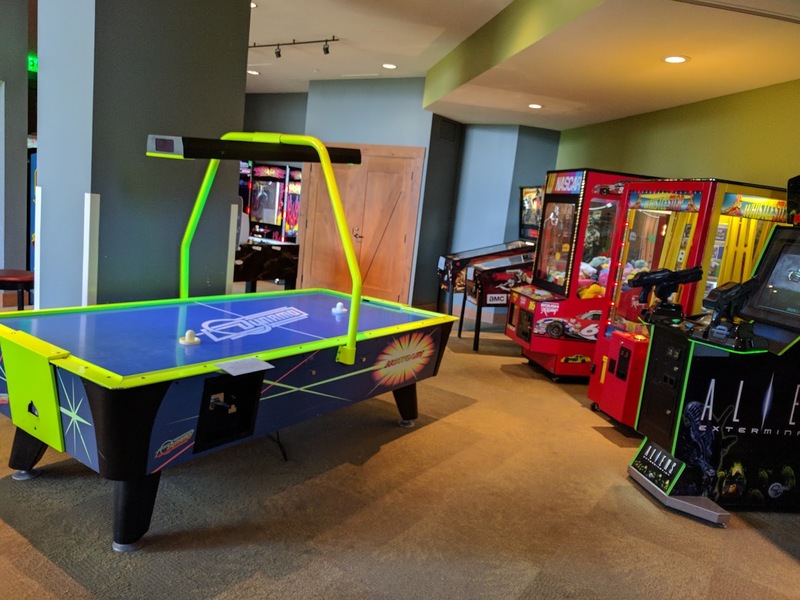 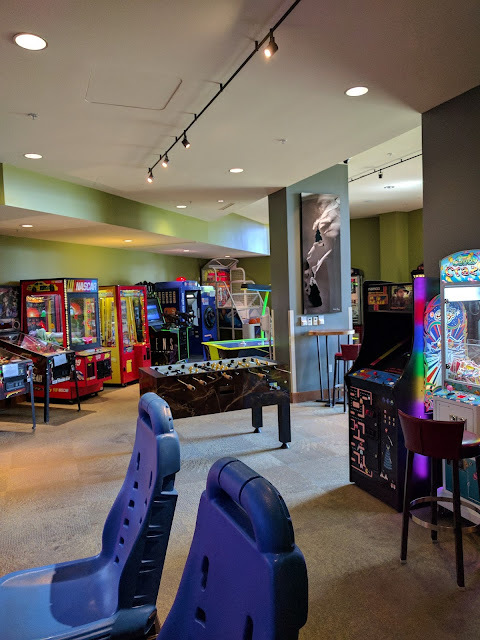 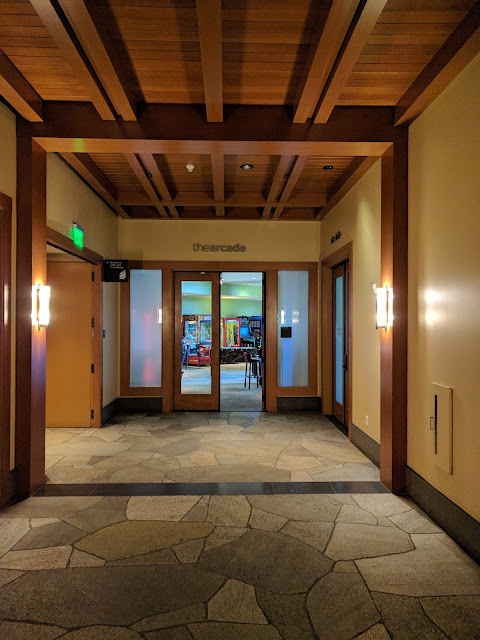 The arcade is located on the lower lobby level of the resort and offers arcade games, air hockey and small lounge area. If you reserve a club level room or upgrade to the club level, you can expect great mountain views and a presentation of extraordinary food and drink selections throughout the day. 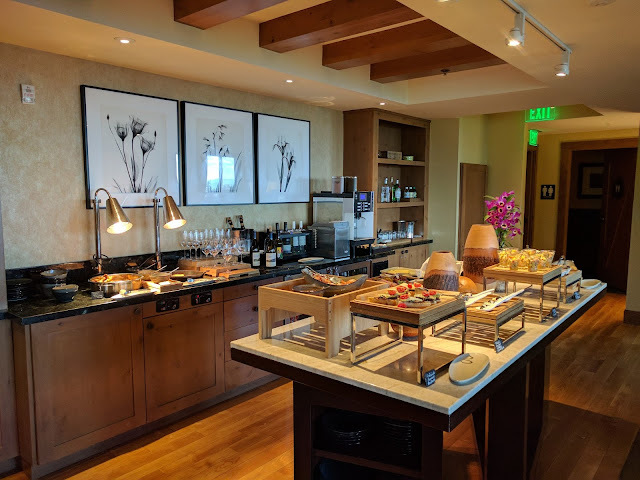 Read more about my experience of the club level lounge here. 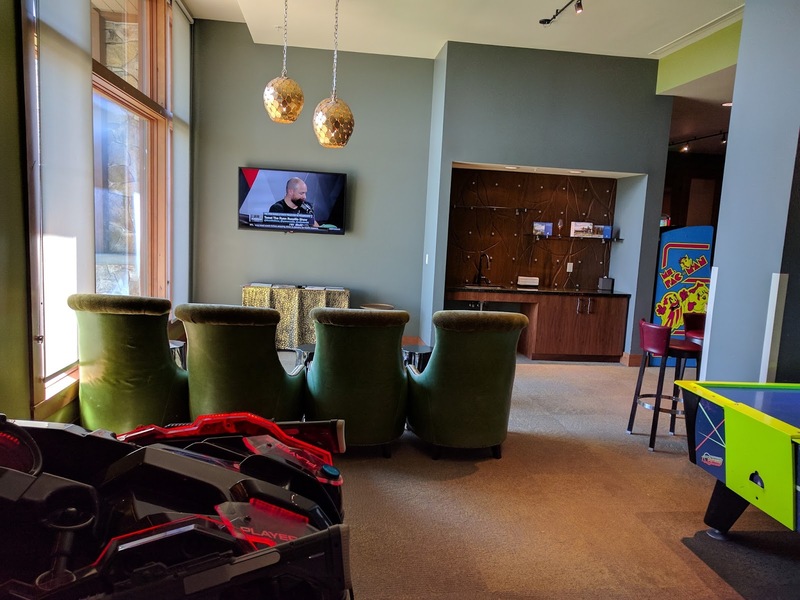 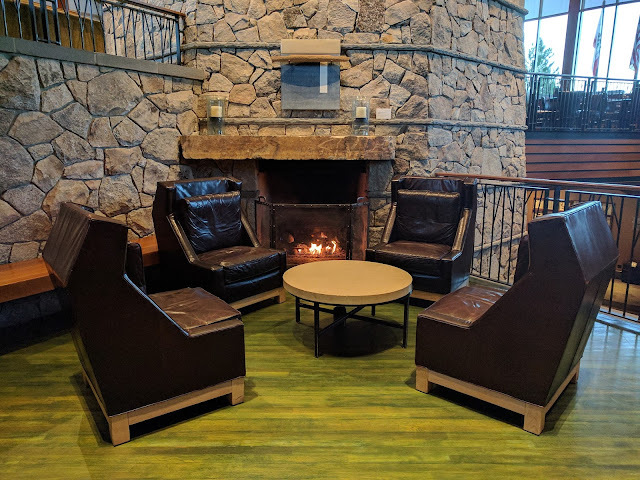 The newly opened Lake Club offers a serene lakefront experience with direct access and panoramic views of Lake Tahoe, water activities, firepit, spa, all-inclusive dining/drinks and is a must-do summer experience not to be missed. 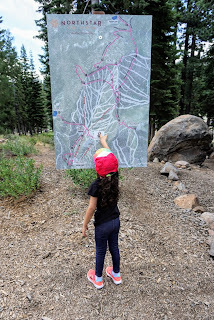 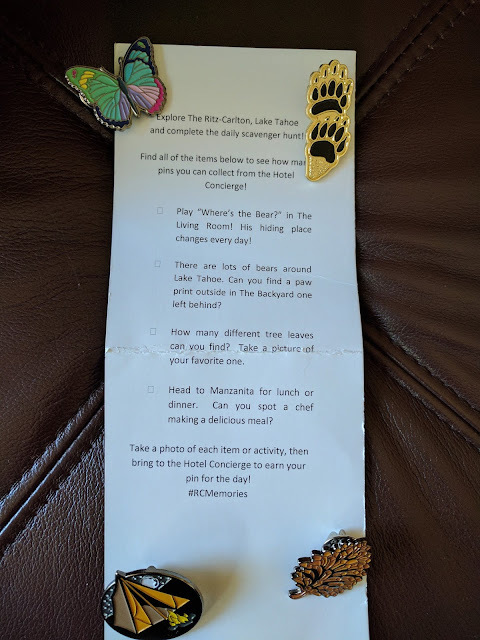 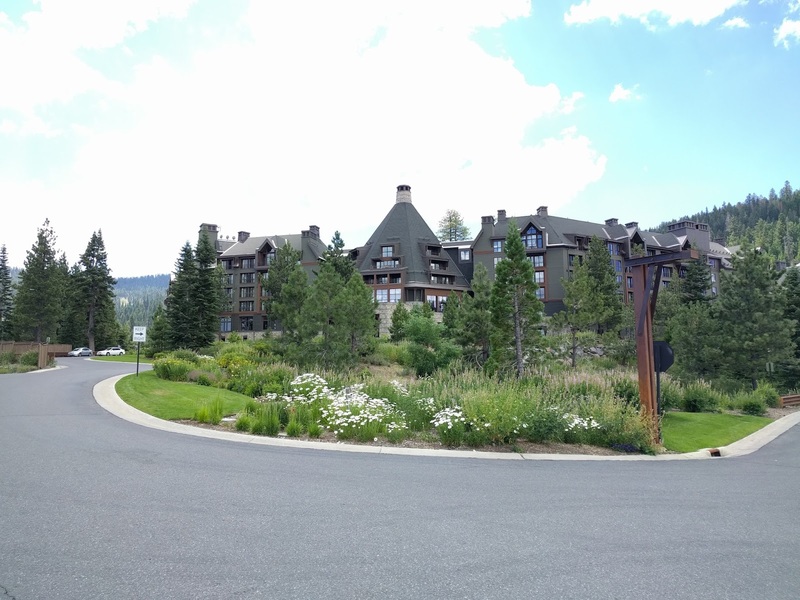 And lastly, if there isn't enough to see or do at the Ritz Carlton Lake Tahoe, the Northstar Village is only a quick gondola ride down to more shops and dining at Northstar. You can always expect a warm welcome at the Ritz Carlton and since we were celebrating our wedding anniversary while at the hotel, we were greeted with a nice welcome amenity. 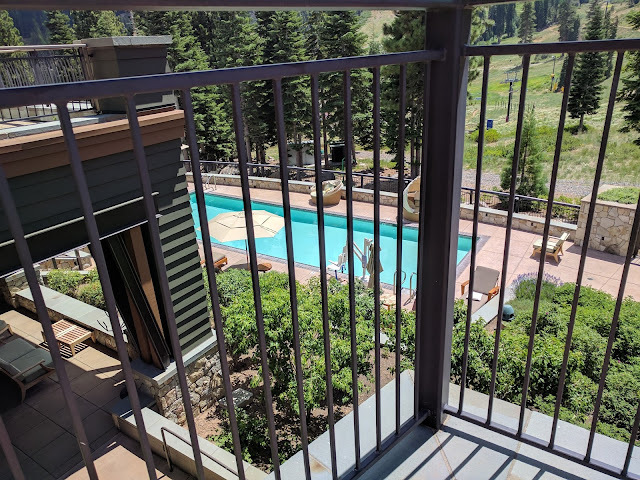 For our most recent stay here, we were in a Club Level King Room, which offered views of the surrounding mountains. 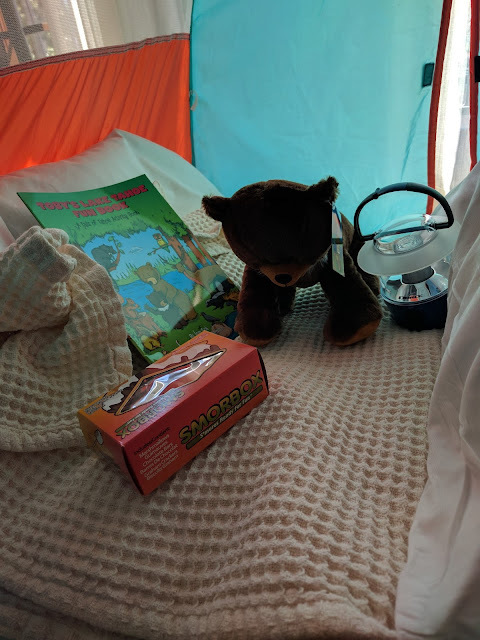 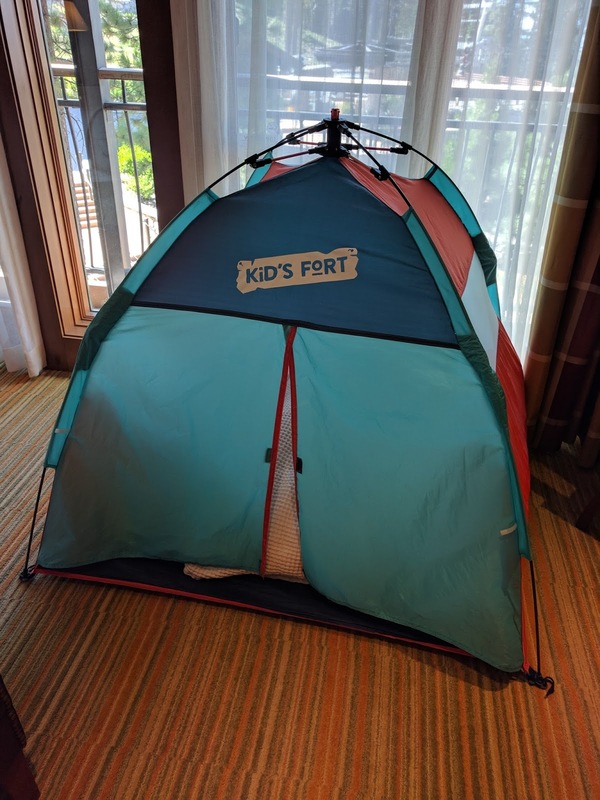 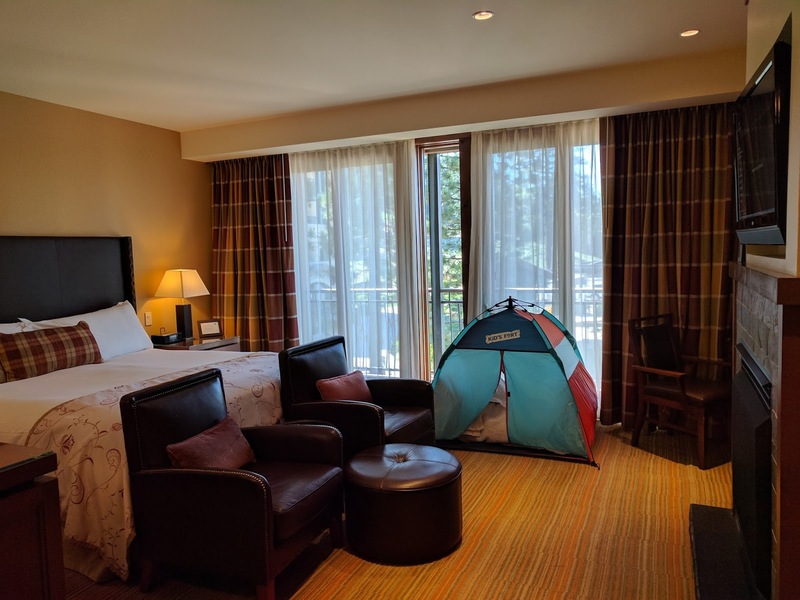 The room offers 455 square feet of space and we were able to take advantage of a complimentary tent package (STARS benefit), that would otherwise cost $100. 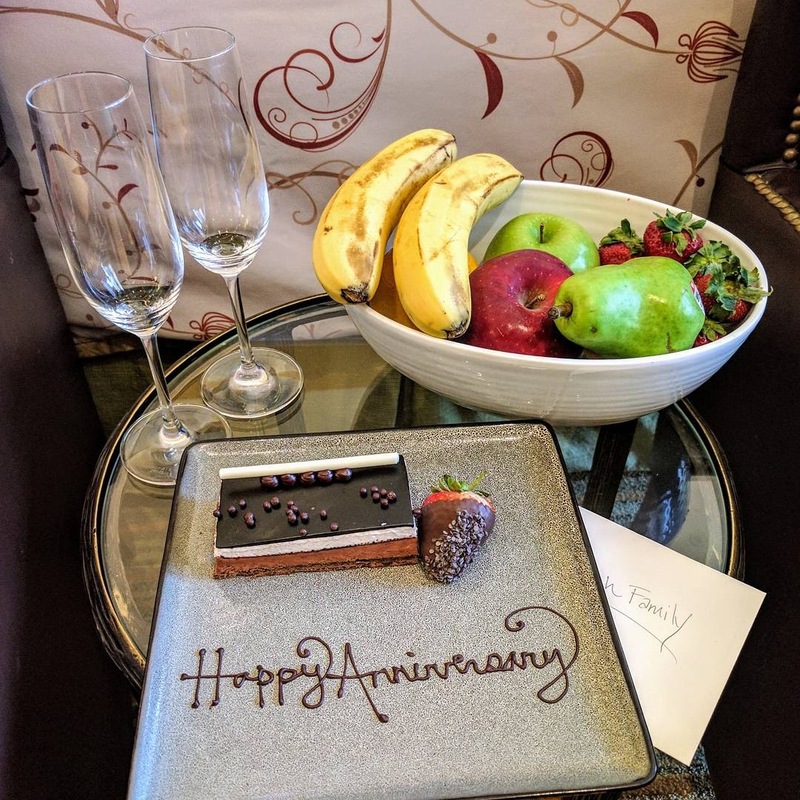 If you're interested in learning more about this package, feel free to contact me to see how you can also take advantage of this limited time offer for your next trip here. 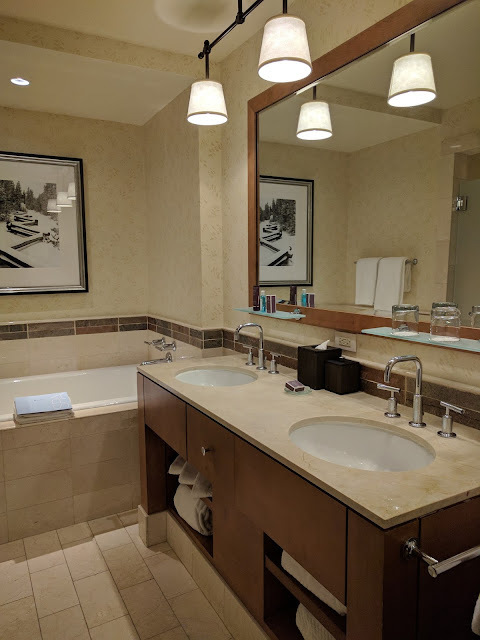 The bathroom decor is typical of what you can expect at a Ritz Carlton hotel, i.e., luxurious with detailed finishes. 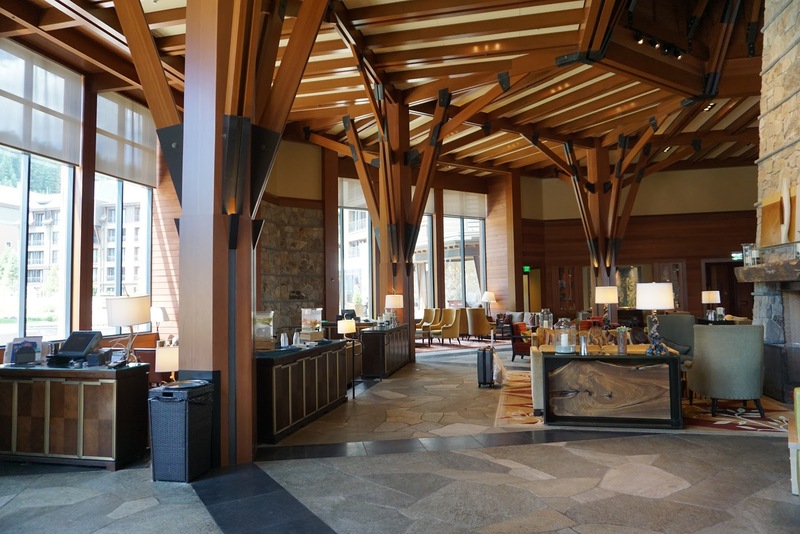 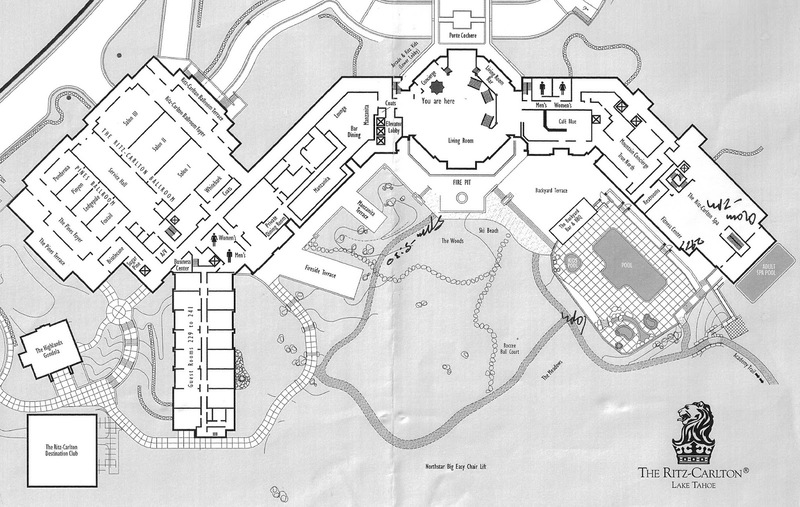 There are five dining options to choose from on-site, not including the club lounge if you have access to that. 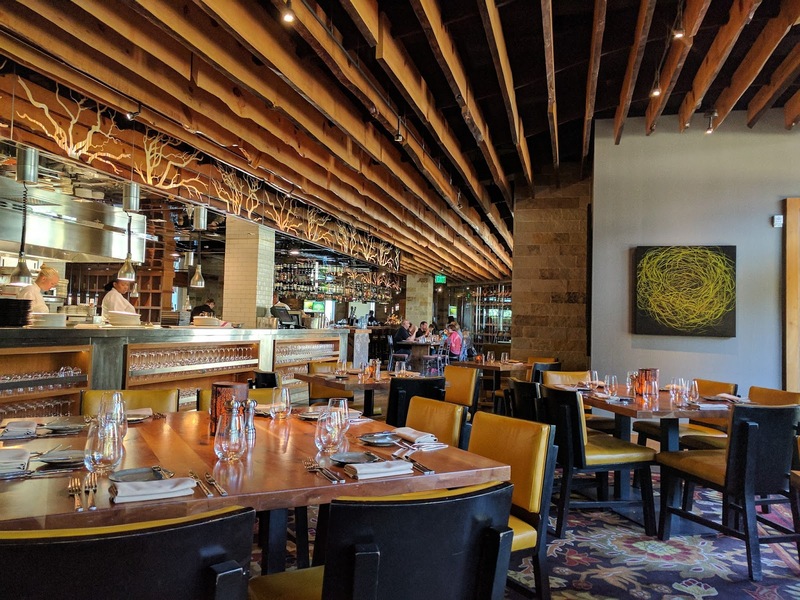 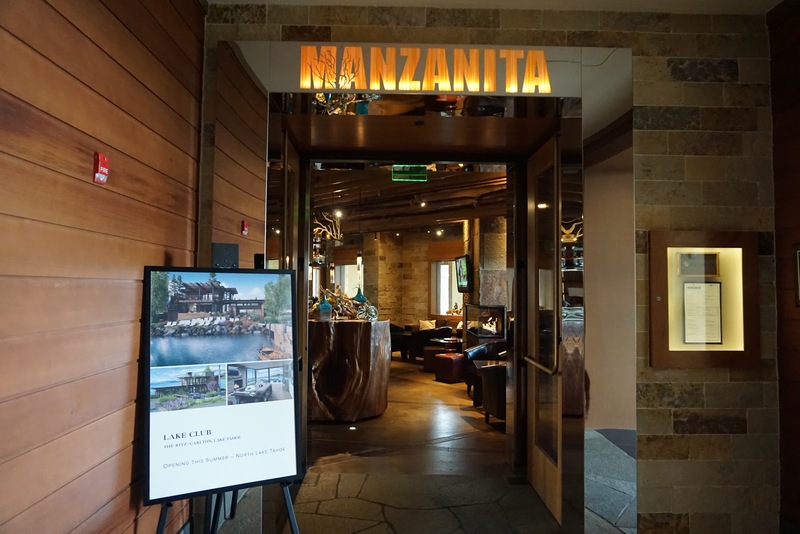 Manzanita - Offers California cuisine prepared with organic and locally sourced ingredients, and features an open kitchen concept. 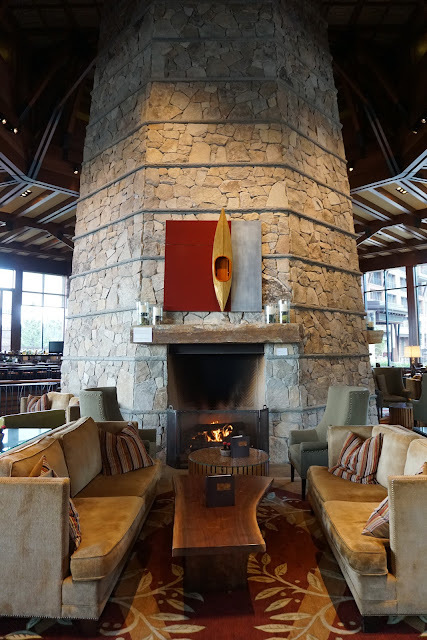 The Living Room and Highlands Bar - Enjoy the scenery, along with a favorite cocktail, in the Living Room, a casual dining venue centered around a stone fireplace at The Ritz-Carlton, Lake Tahoe or enjoy light fare and signature après cocktails with sweeping views of the surrounding Sierras at the Highlands Bar. 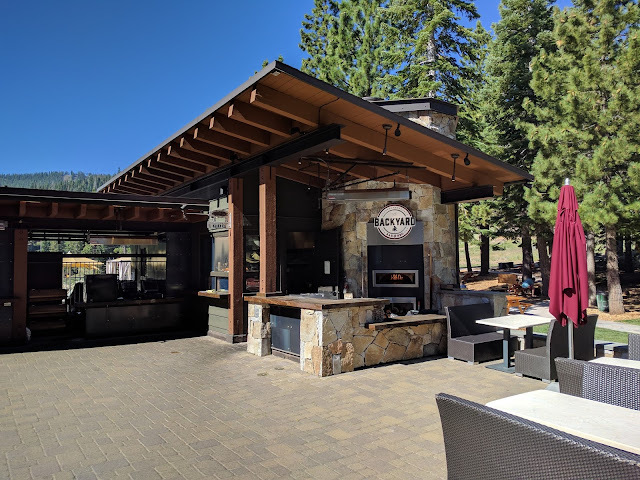 Backyard Bar & BBQ - provides a casual dining experience on the hotel’s back patio, with ski-in/ski-out access during the winter months and poolside dining in the summer. 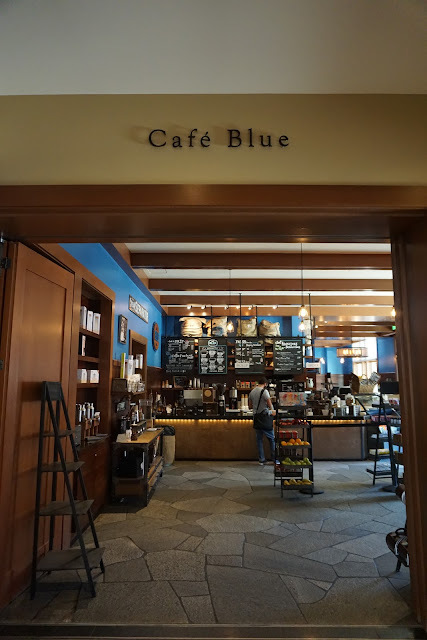 Café Blue - the quick service option and serves coffee beverages, juices, smoothies, pastries, and other snacks. 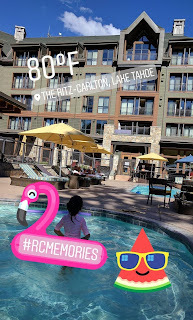 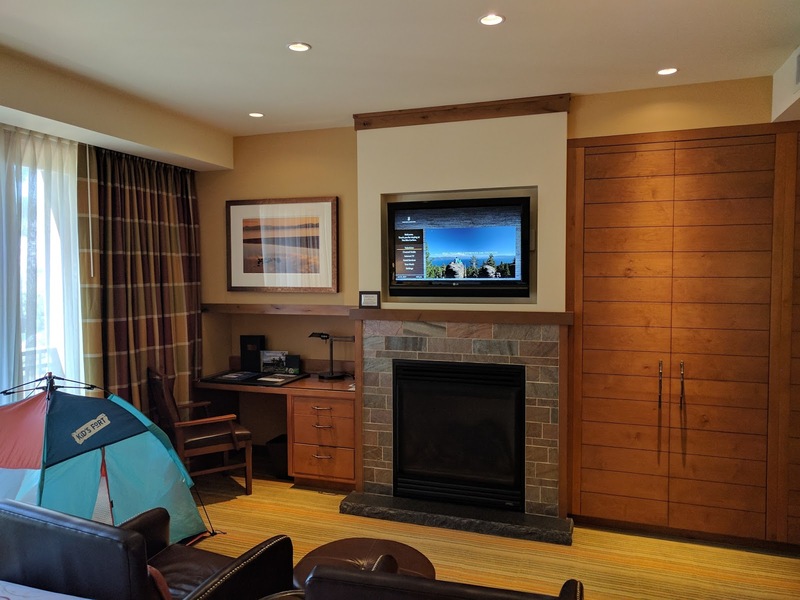 The Ritz Carlton Lake Tahoe is a great hotel in an awesome location in North Lake Tahoe with easy access to hiking during Summer and skiing during Winter. 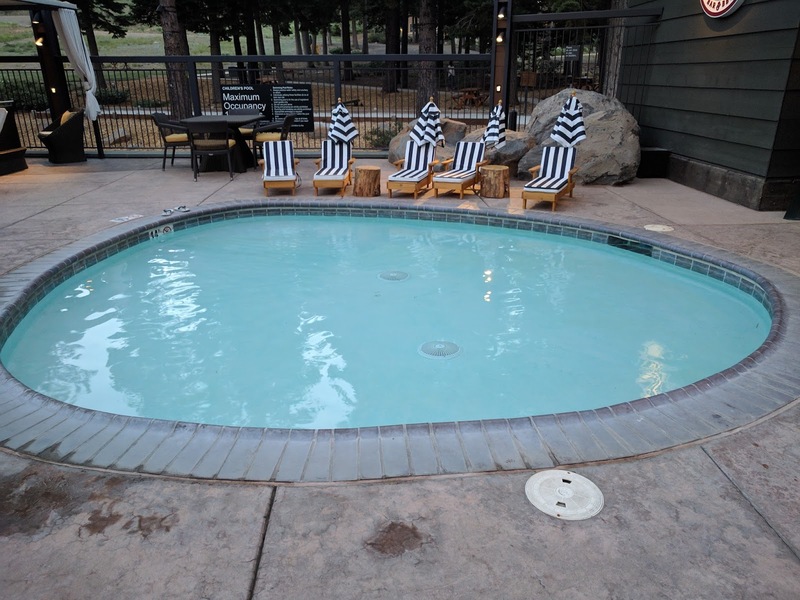 The available amenities here and activities are great for a family trip or couples getaway. 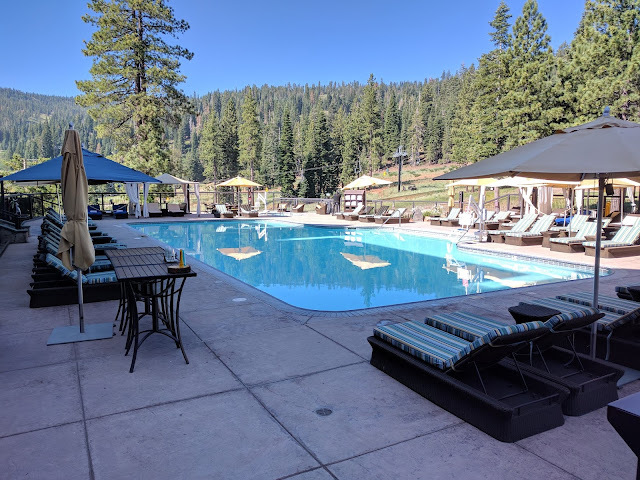 Everything from the valet service, check-in, welcome amenities, club lounge, dining choices and activities available here made our stay enjoyable and very memorable during our Summer visit. We especially enjoyed going for a hike and swimming in the heated pool. We had a great time during our short stay at the hotel and look forward to visiting again soon during the Winter months to take advantage of some skiing and sledding. 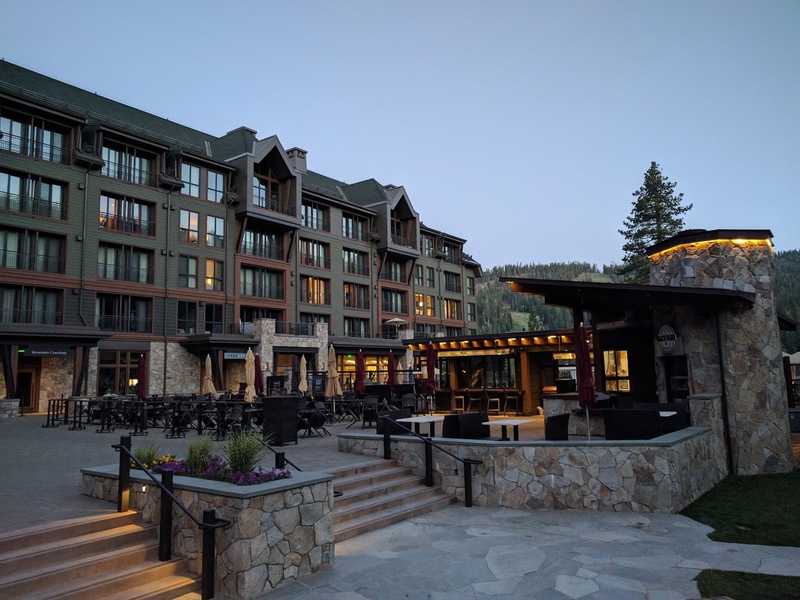 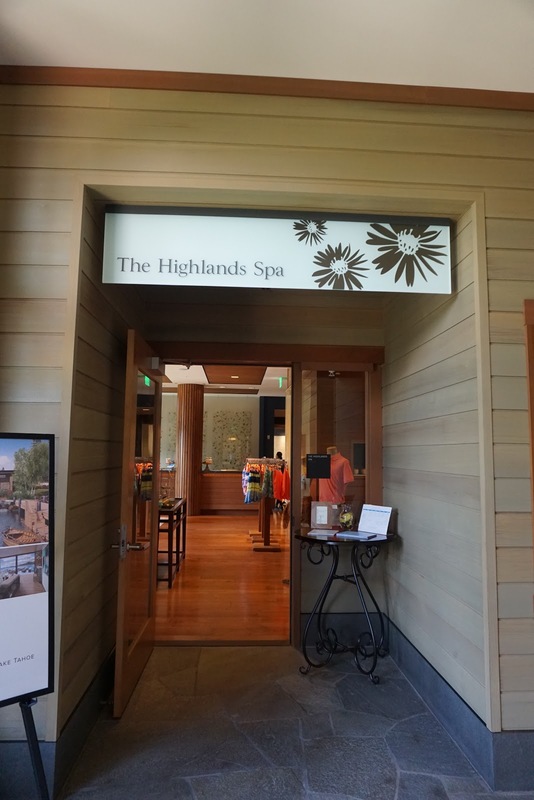 Lastly, given that rates here can be very high, keep in mind that there are added expenses of a daily resort fee of $38 and daily valet parking fee of $39, which you can read more about here. Also, be sure to read more about the Ritz Carlton Stars Program and how you can gain a lot of extra value for your next stay at a Ritz Carton hotel!